Mainly did this for my own use. I never was able to locate the original Enlightenment theme author, therefore, this will go unreleased. 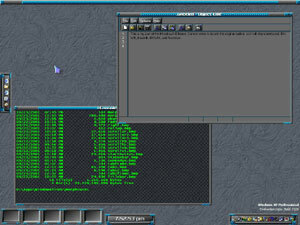 Would you believe, that MorphiusX ETheme was actually a rip from morpheusX's "macinus ereXtus" LiteStep theme? Was a hot topic a couple of years back.